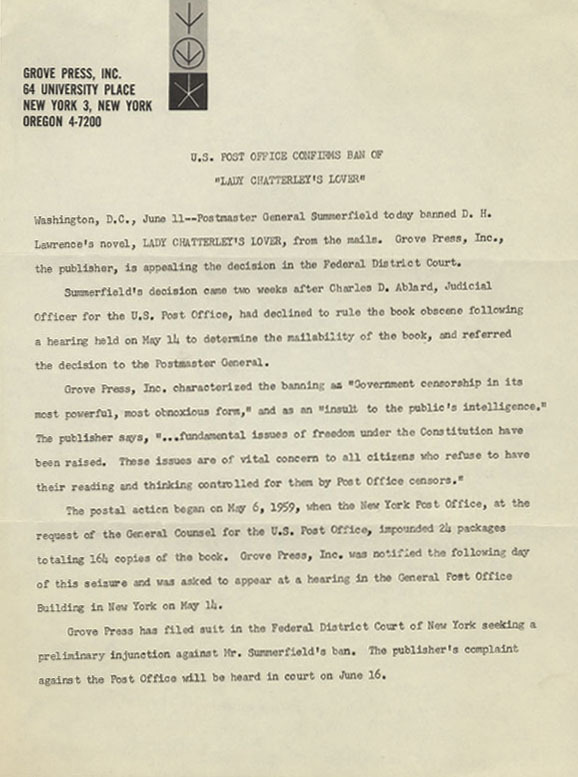 "U. S. Post Office Confirms Ban of Lady Chatterley's Lover." Press Release from Grove Press. 11 June . From the Grove Press Collection. 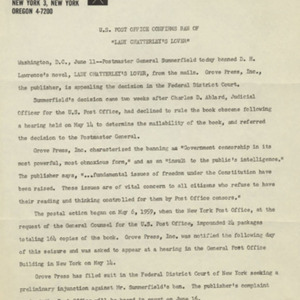 “Press Release,” University of Virginia Library Online Exhibits, accessed April 20, 2019, https://explore.lib.virginia.edu/items/show/607.